With help from depressed used Model-T prices, dirt track racing, which had become dormant during the First World War, experienced a revival in 1919, and by 1920 thousands of amateur racers were competing in short track races across the country. Indianapolis was at the center of this renewed activity and a number of small manufacturers were poised to take advantage. The best-known of them was the Chevrolet Brothers Manufacturing Company, manufacturers of Frontenac race equipment. Located at 410 W. Tenth St, Indianapolis, the small firm introduced an OHV head for the Model T that became popular with the Model T racers. The Chevrolet Brothers, Louis, Gaston and Arthur, soon developed a whole line of speed equipment for the Model T, and included in their mail-order catalogs were one-man speedster bodies built by Morton & Brett. The Chevrolet Brothers had used Morton & Brett-built bodies on their early Frontenac and Monroe Indy racers and close examination of Louis and Arthur’s 1916 Indianapolis entries reveals that their Speedster bodies were identical to those built and patented by Morton & Brett at the end of the war. There was no 1917 or 1918 race, but the 1919 Frontenacs and 1920 Monroes of Louis and Gaston Chevrolet wore the same bodies, albeit with different radiator shrouds, with Gaston winning the event in 1920. The Indy winning 1921 Frontenac piloted by Tommy Milton also wore a Brett & Morton-style body. Elvin D. Morton is credited with the design of those early speedster bodies and applied for a U.S. patent on September 20, 1919, for his “Speedway Body for Motor Vehicles of the Ford Type” which was awarded design patent # D54668 on March 9, 1920. By 1919 Morton & Brett’s Speedway bodies were being marketed through their own catalogs and advertisements. A number of other Indiana-based Model T speed equipment retailers - Chevrolet Brothers (Frontenac), Craig-Hunt, Faultless, Laurel, and Green Engineering - marketed their own Speedway bodies many of which were identical to those first introduced by Morton & Brett in the late teens. Arthur B., Herbert A. and Albert R. Zwebell, were three talented brothers who owned a successful automobile dealership and garage in Milwaukee, Wisconsin during the teens. They did a large business selling rebuilt tires (aka re-treads) and Arthur B. Zwebell developed an improved method of vulcanization that allowed small shops to remold tires in sections using a compact steam vulcanizer. The system was quite compact and was substantially cheaper that the giant kettle vulcanizers currently in use. The Zwebell patent cavity retread mold was similar in operation to other sectional cavity vulcanizers, but its increased capacity could vulcanize one third of the tread at a time, rather than the four or five needed for others currently on the market. As tire wrapping was entirely dispensed with, a complete retread can be cured as quickly with the Zwebell unit as with a kettle vulcanizer. 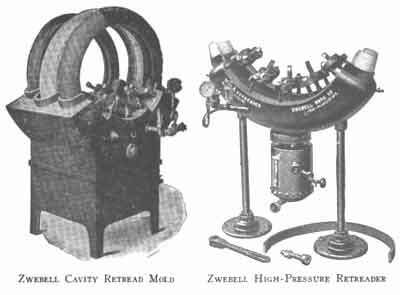 The Zwebell unit included interchangeable castings that allowed the garage owner to mold tires of different tread designs and sizes. The brothers became wealthy in a short period of time and launched a number of new businesses. Herbert A. and Albert R. Zwebell went into the aftermarket Model T body manufacturing business, organizing the Bub Body Corporation in 1921. 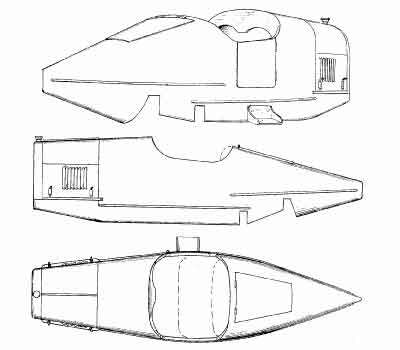 “This illustration is an authentic reproduction of the Bub Speedster Body, having been drawn from an actual photograph. “To have a Bub Body mounted on your dependable Ford chassis gives you a jaunty companion to share your every pleasure. Gracefully designed and staunchly constructed, this popular, easy-riding body offers combined beauty utility and comfort to the seeker of an unusual car. “DEALERS: If you are the type of dealer who appreciates the desire of many Ford owners for a custom-built body that puts Ford in a class with the finest cars – if you recognize in the Bub Body dealership the opportunity for a steadily increasing profit – if you want to gain prestige by identifying yourself with a quality product, then we want to hear from you. Perhaps your territory is still open. Write at once on your business letterhead for details. “-with its rakish windshield and classy top; individual fenders and military step; additional disc wheel which flanks the hood; luxuriously upholstered slope sear cushions; honey combed metal false core and nickeled radiator shell, stands supreme among custom built body models for Fords. Color scheme optional – any two colors. For slight additional charge over regular price, body will be covered with your choice of Fabrikoid. “Consult the dealer in you territory or write us direct regarding complete specifications and price. Be the first in your locality to drive one of these exclusive speedsters – get in touch with us TODAY. "BUB BODY CORPORATION, 336 South Water St., MILWAUKEE, WIS."
During their short time in business, Bub Body Corp. used a number of addresses. Bub’s first factory backed up to the Milwaukee River at 336 South Water St., Milwaukee. Later ads list 693 8th Ave., Milwaukee, and their lastl known advertisements give a Schleisingerville, Wisconsin address. “Before the advent of prohibition, Milwaukee was famous for – but there what’s the use! While on a visit to that municipality, I learned that it had been reinstated in the Hall of Fame through the popularity of another product, more in favor with Mr. Volstead. Here’s how it happened. “Having a few minutes to spare before lunch, I decided to take a turn around the square and inhale a little ozone. Wandering aimlessly about, ma attention was attracted to a crowd gathered around a curbing, about a half-block away. Being a curious animal by nature, and thinking that here was something that might be a ‘copy’, I hot-footed along, and was soon on the outskirts of the crowd. “‘Anyone hurt?’ I asked a fellow bystander. ‘Nope,’ replied he. ‘But if this gang mills around like this much longer, somebody will be.’ Not getting much information by questioning, I decided to find out for myself just what was holding the crowd’s interest. So I elbowed my way through the scrimmage and arrived at its inner edges, somewhat the worse for wear, but there just the same. Here’s what I saw. “Snuggling up against the curb was a racy, streamlined little speedster of a type that I had never seen before. It was perfectly pro­portioned-not a distorted imitation of what a racing car is supposed to be. You could see at a glance that it was the real thing-a true reproduction of a famous speed model. The workmanship showed that it was custom built, evidently the product of a master designer. “‘What make car is that?’ I asked my elbow mate to the right. ‘That's a Ford, partner,’ was his smiling reply. I didn't believe him. I couldn't get close enough to look underneath, but to further satisfy my curiosity I ascertained who the manufacturers were, and after lunch, I journeyed out to their plant. “The man who told me it was a Ford was right. It was a Ford-but it had a Bub Body mounted on its chassis. Judging from the photograph which I secured, you can see that it is not hard to look at. To satisfy your curiosity I'll give you a few of the specifications this special body job calls for. It is built of sheet steel, all seams invisible, laid over a sturdy frame-work of 2 x 4 and 2½ x 2½ inch selected wood with all joints glued and screwed. Upholstered in fine Fabrikoid over full 8 inch springs. Seat is 36 inches wide - carries three passengers with ease. Dis­tance from dash to back of seat 58 inches, ­wide door on right hand side, with cast alum­inum military step. “This classy little job comes complete with all fittings for lowering frame 4 inches and is furnished with underskirts for body; nickel radiator shell and hood; perforated metal false radiator; cast aluminum radiator cap; baked enamel; close running, individual crown fenders and fender brackets; double discs for wheels included. In addition there is a con­venient and perfectly appointed instrument board. Color scheme is optional - any two colors. Bodies can also be covered in Fabrikoid - at a slight additional charge over the regular price. Top and windshield can be supplied. “This Coupe body is designed to give a low, rakish and “Sporty” appearance, together with maximum comfort and protection fro the weather. Part of the low effect is due to the use of an underslung chassis, which is secured through the use of cast steel and forgings which permit lowering the chassis frame, without disturbing any of the mechanical features of the car. “Discs are supplied to cover the regular Ford wheels of any size or type, either clincher demountable rims. These discs can be supplied ether painted or nickel plated as desired. The fenders are of the individual crown type, fitting closely to the wheels, and are 9 inches wide. Such fenders are both light and strong, and offer but little wind resistance. 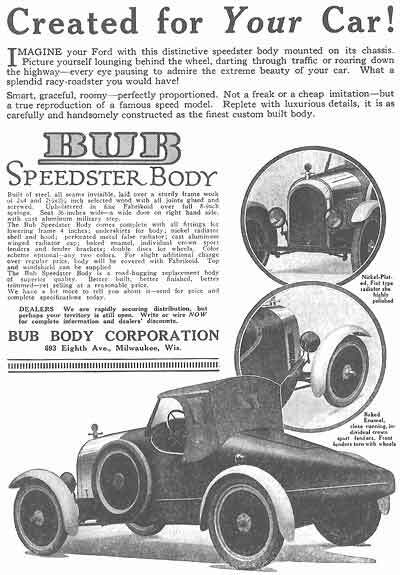 A later Bub advertisement for the Sportcab listed a new address, “Bub Body Corporation, Schleisingerville, Wis. Schleisingerville was a small village located 35 miles northwest of Milwaukee, and was the very first address used by the firm. The village of Schleisingerville was renamed Slinger on April 5, 1921 by a popular vote of the village’s inhabitants, but continued to be called by its original name during the following decade. "The above photograph shows the Bub “SPORTCAB” outfit. A closed, two passenger Custom Built Sport Body for the Ford Chassis. The outfit is complete with Body, which is covered with Fabrokoid or painted to suit your individual taste, Nickeled radiator shell, with false honey comb core and winged radiator cap, hood to match body, Fenders and Fender Brackets, Dropping irons for lowering the Ford frame, Cast Aluminum Military steps, discs for the wheels, Price $350.00 including war tax complete as shown in the above photo with the exception of the extra wheel and tire cover. "Bub Body Corporation, Schleisingerville, Wis."
Schleisingerville was a small village located 35 miles northwest of Milwaukee, and was the very first address used by the firm. The village of Schleisingerville was renamed Slinger on April 5, 1921 by a popular vote of the village’s inhabitants. By 1921 Arthur had parted company with his brothers and moved to Los Angles which was in the midst of a residential construction boon. He and his wife Nena put all of their money into real estate and during the next decade built eight Moorish and Andalusian-influenced courtyard apartment complexes in West Hollywood. Although he was not a trained architect, Arthur created the visually stunning exteriors while Nina concentrated on the apartments equally stunning interiors. Their first unit attracted the attention of director Cecil B. DeMille who commissioned them to build four more near his West Hollywood studio. The El Cabrillo, Andalusia, Patio del Moro, Casa Laguna and Villa Primavera housed many New York stage actors and actresses while they made their first Hollywood pictures. DeMille’s daughter Katherine was housed in one of the apartments and during the ensuing years Cesar Romero, Clara Bow and many others called them home. It's alleged that a Rudolph Valentino movie used the Spanish revival courtyard of the El Cabrillo as a set. Today the six Zwebell apartment complexes have all been converted into condominiums and are listed on the National Register of Historic Places and their architect, Arthur B. Zwebell, is credited as having created the California Courtyard Apartment. By the mid twenties his brothers, Herbert and Albert, had grown weary of the cold Wisconsin climate and after selling off their assets, relocated to Southern California where they establishing a radio cabinet factory in leased quarters at 1733 Cordova St., Los Angeles. When the Los Angeles housing market collapsed in 1929, Arthur and Nena Zwebell went to work as set designers and interior decorators and the Zwebell Bros. cabinet factory was soon building period reproduction furniture for the Hollywood movie studios. The San Fernando Valley homes of the three brothers were prominently featured in a March 1941 feature in American Home magazine called “Three Zwebell Brothers Live In a Row”. During the 1940s and 50s the Zwebells were active in the booming Los Angeles real estate market and in 1946 sold the former Robert Morton Organ Co plant for $500,000, a record sale for that time. The Zwebell Bros. factory at 1733 Cordova St. is still providing period furniture and props to Hollywood-based television and film projects as Silvestri California whose website boasts of the firm’s long history. 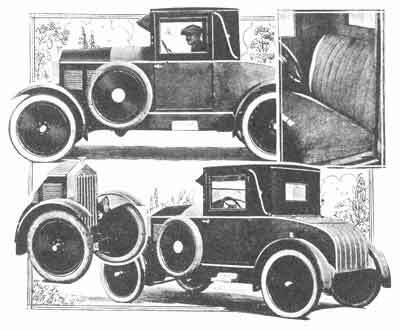 Herbert and Albert's Bub-bodied Model T’s did not fair as well as their furniture business and only one, a Sportcab, is known to exist today.